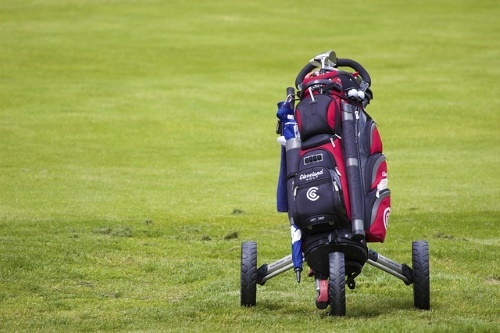 Seniors will need different golfing equipment from those younger than them for a few reasons. Their distance may not be as good, because their swing may be slower and weaker. They may also have a bit more trouble hitting a ball straight, so they may need something that is designed to control well and correct itself if hit poorly. There are golf balls designed to do those precise things, and they may not say “senior” on them, so you’ll have to know what to look for. We will show you some of the factors to consider as you shop for the best golf ball for seniors. The impact the right golf ball can make as you play can be incredible. Not all balls are the same, and there are tons of different factors that come into play. When you choose the right kind of ball, you’ll score better, hitting the ball farther and straighter and making the shots you want to make more often. In other words, you will have a more enjoyable game. You’ll spend less time chasing after the ball and more time driving to the hole. You might have given a few different kinds of golf balls a try and not had much success with them improving your game. You need to know specifically what to look for and what your weaknesses and needs are when it comes to playing as a senior. We’ll cover some of the specific aspects of the ball that usually pertain to seniors and try to help you find a ball that suits you well. We’ve given you some pointers for how to find the best golf balls for seniors, and now we want to share with you a few of the very best ones you can buy. 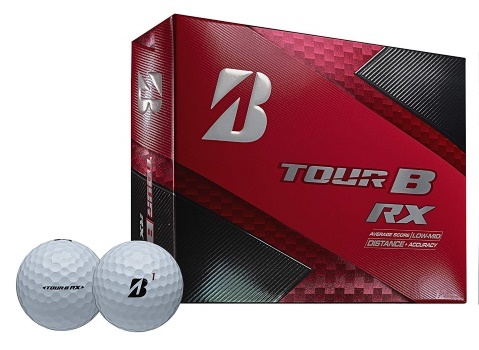 These golf balls from Bridgestone are high quality products that will hold up to some serious wear. They aren’t disposable by any means, so be careful about where you hit them. However, they are easy to control, with plenty of forgiveness. They are also great distance balls, covering a lot of ground very easily, even if you have a slow swing speed. That makes them perfect for seniors. The modern technology integrated into Bridgestone’s balls ensures that they offer consistent performance that makes them a joy to play with. Great at boosting your distance. At that price point, you will have to keep track of them. These soft cover balls are easy to hit high and far, and their solid inner core ensures that they will give you plenty of distance. They are designed for people who have a swing speed of between 70 and 100, which makes them a good fit for most seniors. Their low compression ensures great speed and long shots without a lot of effort on your part, and their brilliant white color makes them easy to spot. They offer 344 dimples to cut down on drag and increase speed across the green. The price is phenomenal, but don’t expect them to last a long time. 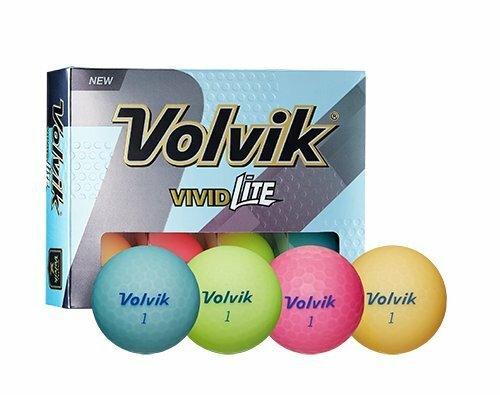 One of the reasons we love these golf balls from Volvik is because of how easy they are to locate. Their brilliant orange color makes them easy to spot out among the white balls on the course. These are priced decently so that you don’t need to chase every single one down, though. You shouldn’t have to do much chasing to collect your balls, though, since they are designed to fly straight and true. The large core provides you with some excellent distance, while the high backspin ensures better control in most situations, giving you a high performance ball. Not so good for short games. Titleist has created a ball that is well worth the investment. It’s affordably priced but still high quality. These balls won’t wear out on you too quickly, and they give you incredible distance yet decent stopping power in short games. Their soft feel and low compression ensure they are a good fit for most senior players, but they lack control on longer games, which can cause some of the balls to go wild on you. Still, at this price point, that’s not such a big deal for most people. Offers great control on short games. Lacks control on long games. 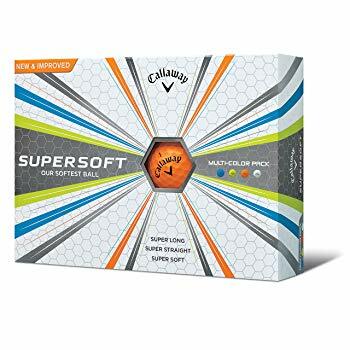 This soft ball from Callaway is another great option for seniors. It is easy to hit far and fast, and the dimpled cover gives you little air resistance to deal with. The spin is kind of low, though, which means it is tough to control in some situations, and you’ll want to test it against other balls with more spin to see what is more to your liking. For some seniors, this will be a perfect fit, and the price and value are certainly hard to beat. Soft and easy to hit. Little spin means little control in some instances. Compression– It’s not something the amateur golfer pays much attention to, but the compression on the golf ball helps to determine how far you can hit it. 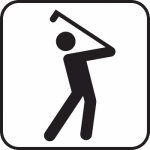 Many seniors struggle to hit their golf balls very far, and according to Golf.com, a low compression rating can help you hit your balls much farther. This is really only necessary for the player with a low swing speed, and if yours is under 100, you should consider a ball with a low compression rating. Dimples– The dimples improve the speed and distance of the ball, in most cases. You want a ball with a lot of dimples, otherwise known as a high dimple count. This allows you to hit the ball farther without having to put extra effort into it. You can try a few different dimple counts to see what works well for you. Ultimately, you want something you can still control but that goes far fairly easily. Backspin– The amount of spin the ball has relates to how much control you have over it. According to Golf Info Guide, seniors should be using golf balls that have plenty of spin to them. This gives them greater control over where the ball stops and helps them hit far while still being able to manage the ball and where it ends up. 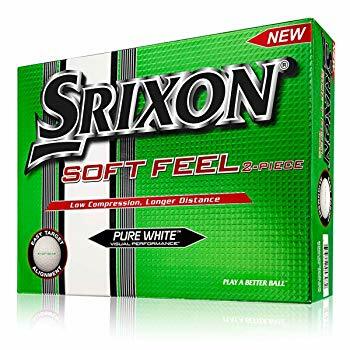 Soft Feel– You may get tired hitting a very hard golf ball over and over again. Seniors are likely to have trouble with golf balls that feel like rocks, experiencing difficulty in getting them up into the air and getting much distance out of them. You’re usually better off with a softer ball with a solid core, as that allows for an easy, effortless initial hit that carries the ball far and high with a lot of speed. Look at the softness of the outer layer of the ball to determine if it is a good fit for your swing speed and strength. Expensive Balls– You may not feel like chasing after golf balls very much when they go way out of your way. As you try to find your groove and a type of ball that works well for you, it’s likely you will hit some golf balls way off course every now and then. You can just let them be if they aren’t very expensive, and we suggest starting with some cheap balls to ease your mind. Avoid the expensive balls to save yourself some running around and aim to buy balls you can afford to let go every now and then. Overestimating Your Skills– You need to be real about your skill level and your swing speed. Buying an expert or pro ball because you want to play like a pro can simply put you at a disadvantage. Once you realize what your strengths and weaknesses are and you buy golf balls that play to those, you will be better off and have a more enjoyable game. 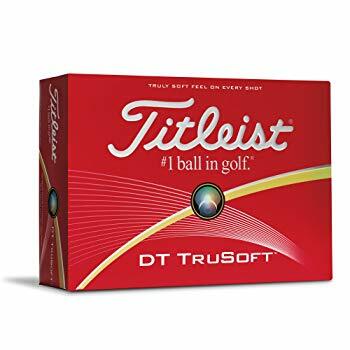 Golf Digest reveals that professional players often use balls that are not available to the public, simply due to personal preference, and you’ll want to make your personal preference a part of the factoring when you buy your balls as well. Starting with Used Balls– You may be looking for ways to save money on your sporting equipment, but trying to find the right ball while settling for used golf balls isn’t the best way to start out. These can be worn and damaged and may not play properly, and that doesn’t give you a very good indication of how well they work for you. Choosing the Wrong Cover– You want a cover with a soft feel and some give to it. That allows you to hit it far without a lot of effort. At the same time, you don’t want a cheap cover, and that can be a tough balance to achieve. So, read some reviews before you buy the balls to ensure they will hold up to a few hits but still be soft enough to travel well. 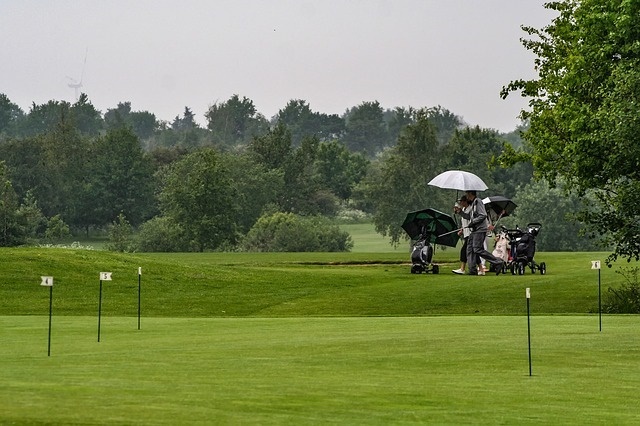 The equipment we have suggested may be a lot different from what you are currently using, and if that is the case, we recommend changing out your golf balls as soon as possible. You should see a noticeable difference in how you play once you get the right golf balls.